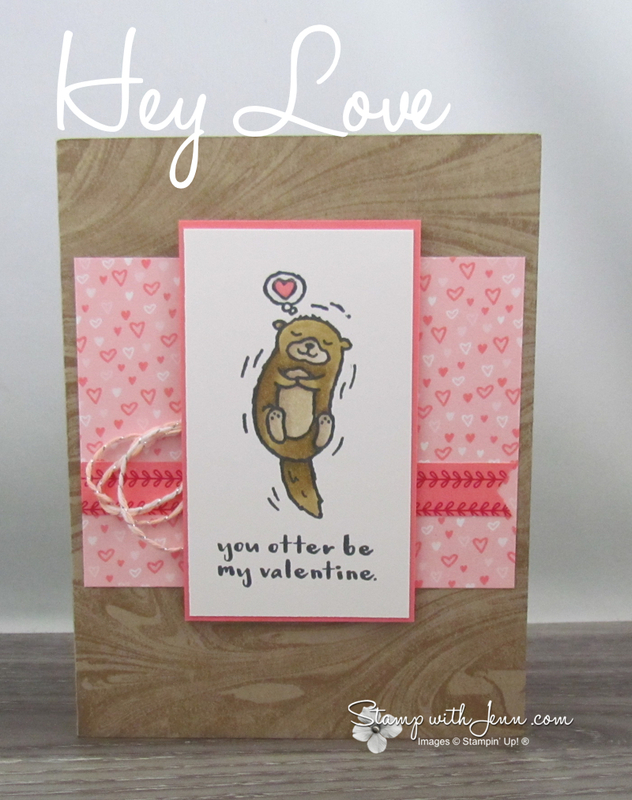 I have another Hey Love Otter Valentine’s Day card to share with you today. I got this card in a demonstrator card swap and I Iove it! 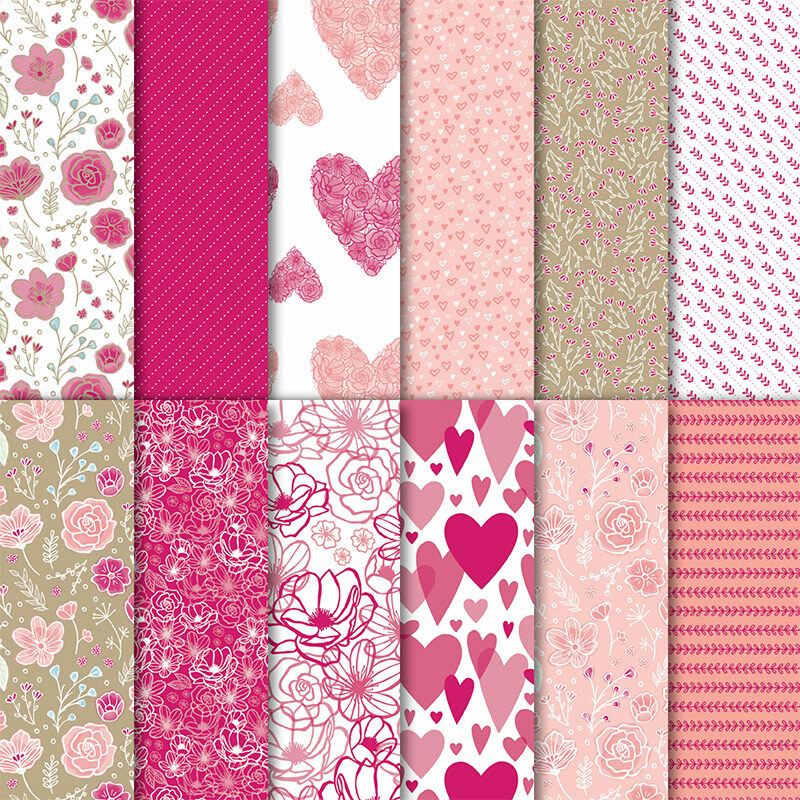 First of all, I love the Crumb Cake and Flirty Flamingo colour combination–it’s perfect for Valentine’s Day cards. You can see some other colour combinations here on my colour Pinterest board. Second of all, I love the Designer series Paper on this card, All My Love, as the perfect Valentine’s Day paper. But you can use it for for multiple occasions, not just for Valentine’s day, as it has some pretty floral patterns on the opposite side. See another Valentine’s Day card I made with this paper here. See all the supplies used on this card at the end of this post. 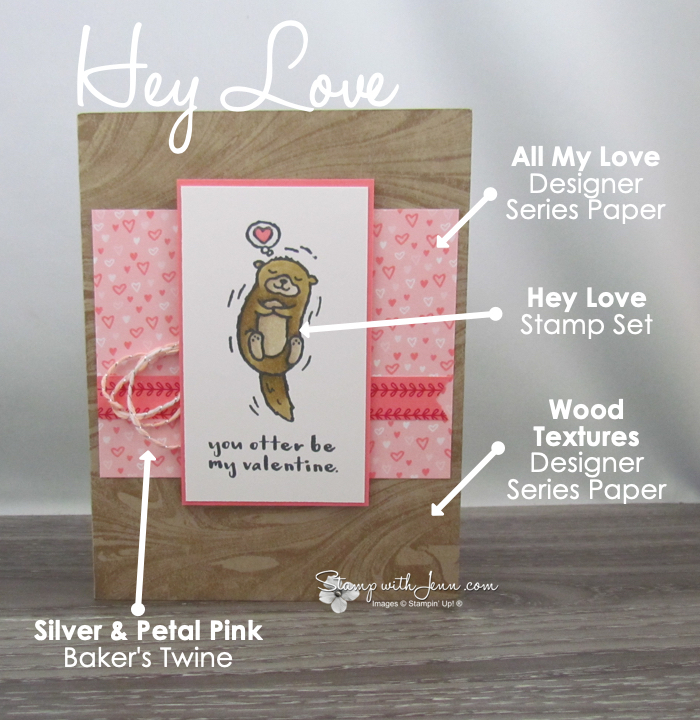 The DSP and the Hey Love stamp set are from the Stampin’ Up! Occasions Catalogue. You can view the catalogue here. The final thing I love about this card is the design. It is so simple, but the added little elements of the Wood Textures DSP in the background, the little stamped strip, and the loop of baker’s twine, make it just perfect. This is definately a card layout that I will CASE (Copy and Share Everything). 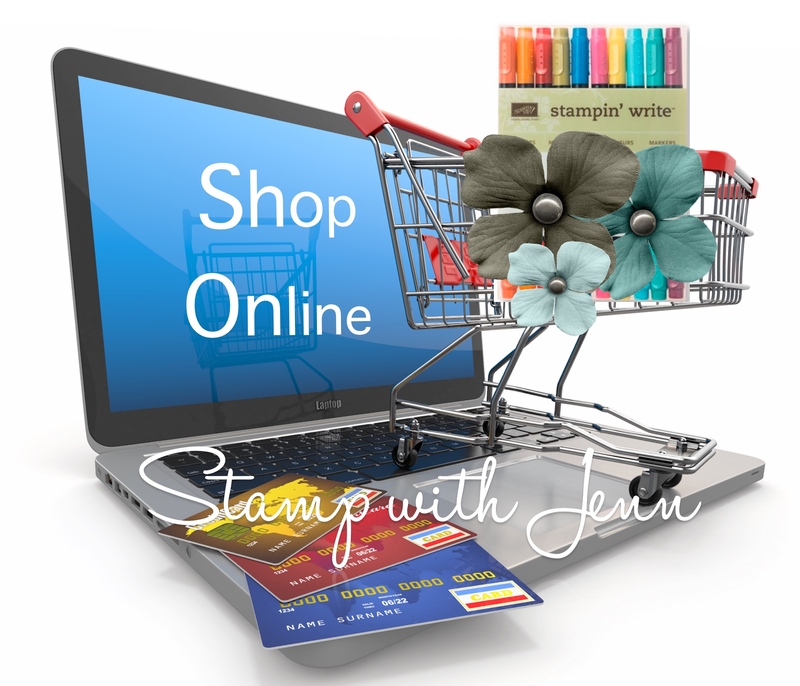 To shop for any of the products on this card, click any of the images below or click HERE to go to my ONLINE STORE. If you like this card, be sure to grab the supply list below.